The Florida-Swing on the PGA Tour gets going on Thursday, as the tee times and pairings were announced for the opening two rounds at PGA National down in Palm Beach Gardens. We won’t get a first round pairing of Tiger Woods and Rory McIlroy, but maybe that will manage to happen on the weekend with both of them in contention. Woods is actually paired with Dustin Johnson and Martin Kaymer for the first two rounds, which will certainly generate some interest among PGA Tour fans. The grouping will tee off at 7:25 am ET off of No.10 on Thursday, and then flip around to the afternoon wave on Friday at 12:25pm ET off of No.1 on Friday. As for McIlroy, he and Woods are on the exact opposite draw. McIlroy is paired with Ernie Els, and Mark Wilson for the first two rounds, as the group will tee off at 12:25pm ET on Thursday off of No.1, and then go off early at 7:25am ET off of No.10 on Friday morning. Two of the other top favorites coming into the Honda Classic are Justin Rose, and Charl Schwartzel. they are grouped together to start out the week, and will play at 7:35am ET off of No.10 on Thursday morning, and the at 12:25pm ET off of No.1 on Friday afternoon. No matter what side of the course players tee off this week to start, they will eventually have to deal with holes 16,17,and 18, collectively known as the ‘Bear Trap’. PGA National is known for the closing three holes on the layout, though for those who tee off on the back nine to start, they will have to gave them early in the round going into the turn. PGA National always makes for a fun tournament, which has definitely increased in stature because of the fact that players like Woods and McIlroy have chosen to make it a part of their schedule. The location of the tournament certainly helps as well, as guys like McIlroy do not even have to leave the comfort of their homes to travel to play. Many PGA Tour players make their homes in south Florida, including Woods as well. 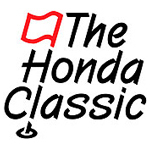 Coverage of the 2013 Honda Classic will air on Thursday and Friday on the Golf Channel beginning at 12:30pm ET with pregame coverage, and then live golf coming on somewhere around 1pm ET. This entry was posted in News and tagged charl schwartzel, dustin johnson, honda classic, pga national, rory mcilroy, tee times, tiger woods on February 27, 2013 by Bryan.